Margarita is a 96yo woman who was sexually abused by the acting manager of the Seniors Rental Service she was living in. Margarita is the first older woman we know of in Australia who has been prepared (and had the support) to publicly share her story of sexual abuse as an older woman. Margarita's story helps to educate others. The fact that she is the first older woman to share her story publicly demonstrates that older women are silenced. Sexual abuse is NOT rare, it is rarely reported - and we need to understand why. We need to listen. Sexual abuse may be more prevalent that financial abuse. In 2017 Margarita shared her story on film - to create a resource educating service providers and community members about the transformative power of listening to older women. Margarita also wants to tell older women that sexual abuse is not their fault, and that there are support services available. The 18 min film was previewed at the Embolden (an annual Festival challenging ageism and building respect for older people and at the Australian Association of Gerontology Conference in 2018. The film was released on December 5th 2018 - Margarita is surrounded by friends and feels safe in a residential aged care service that cares about her wellbeing. Margarita's film and resources are part of the Power Project, a National Campaign to prevent the sexual abuse of older women. Please see Power Project resource pages in the menu. 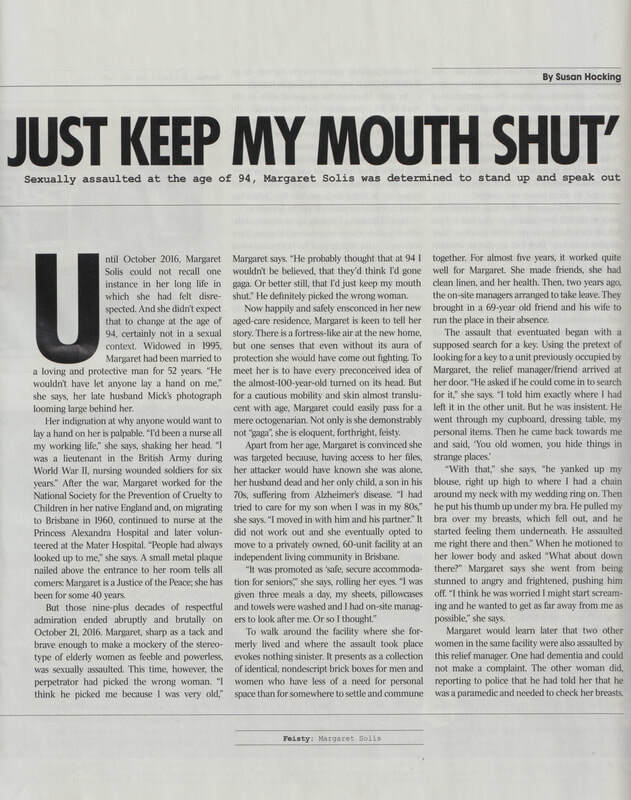 Margarita's film was funded by the OPAL Institute. Please contact us using the details at the bottom of the page if you would like to support any of our future films. 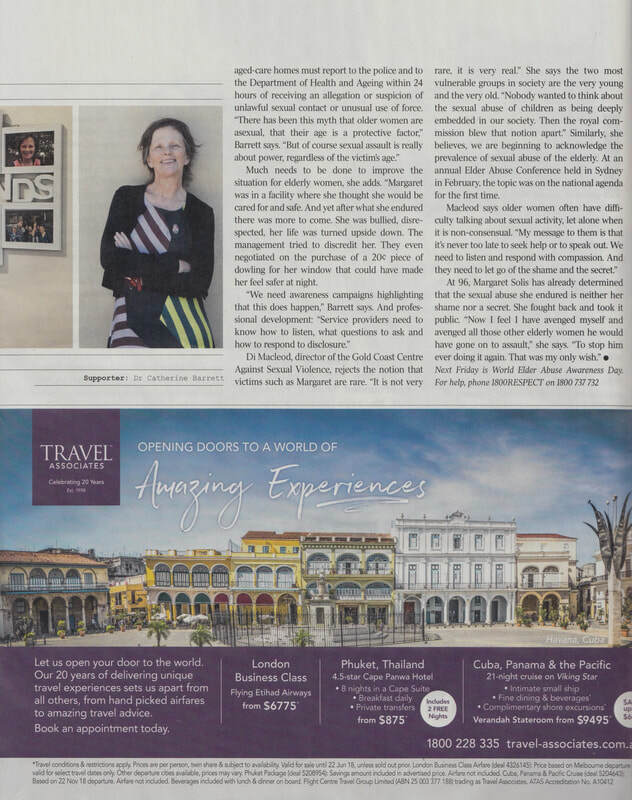 On 9th June 2018, Margarita shared her story of sexual abuse with the Weekend Australian - Magazine. 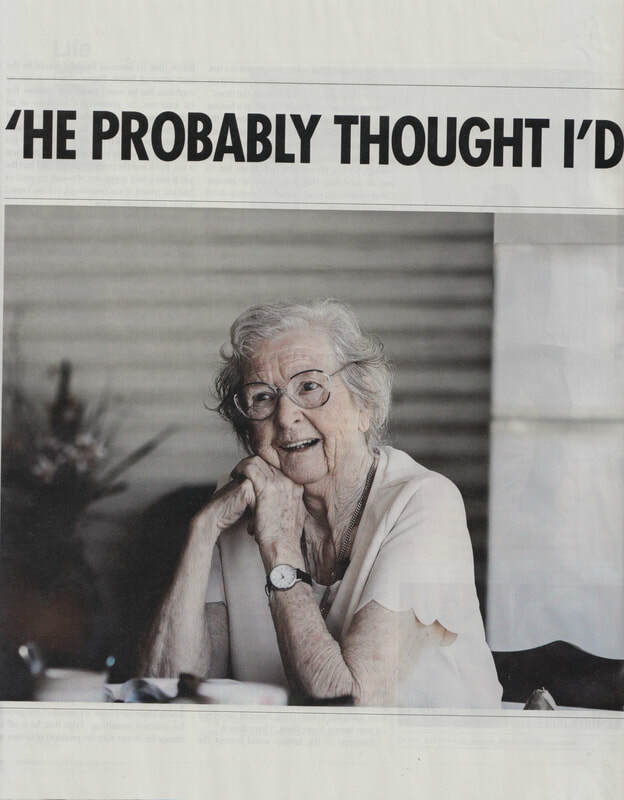 Margaret is likely to be the first older woman in Australia who has publicly shared her story of sexual abuse. Margaret's story powerfully teaches us what we need to do to prevent sexual abuse. Thank you for sharing your story Margaret. 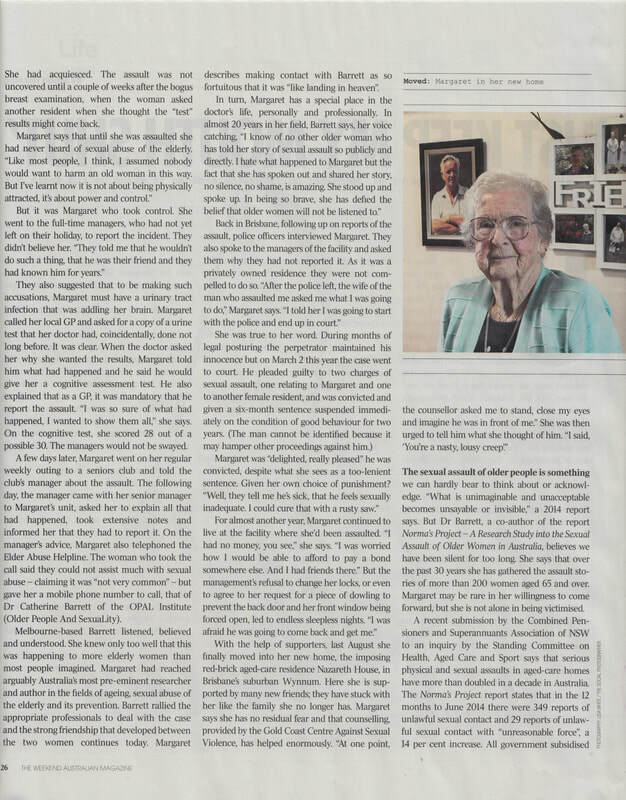 You can read Margarets story by clicking on the link here or reading the four pages below if you can't access the article. Thank you to Susan Hocking for this important story - and congratulations on your Older People Speak Out Award in the Category of Best Coverage of a Controversial Issue Affecting Older People.